NEC SV8100 phone system is the ideal system for small and medium sized businesses want to have a competitive edge over their customers. This system features an intuitive touchscreen display that is beautiful in both form and function. 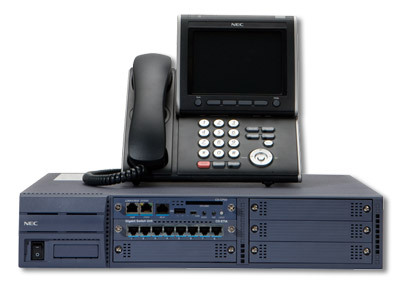 The NEC SV8100 phone system is a robust, feature rich and scalable platform that can grow with you to meet your business needs both now and in the future. Reduce the Total Cost of Ownership with easy to use centralized management of moves, adds and changes. Mobile station “Twinning” support to integrate cell phone users.